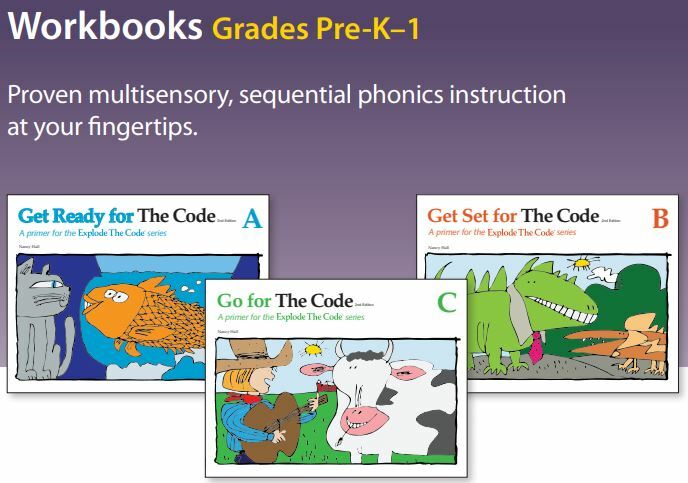 Get Ready for the Code: Book A is the first book of three pre-literacy primers which introduce all consonant letters, and are designed to be used before the Explode the Code series. 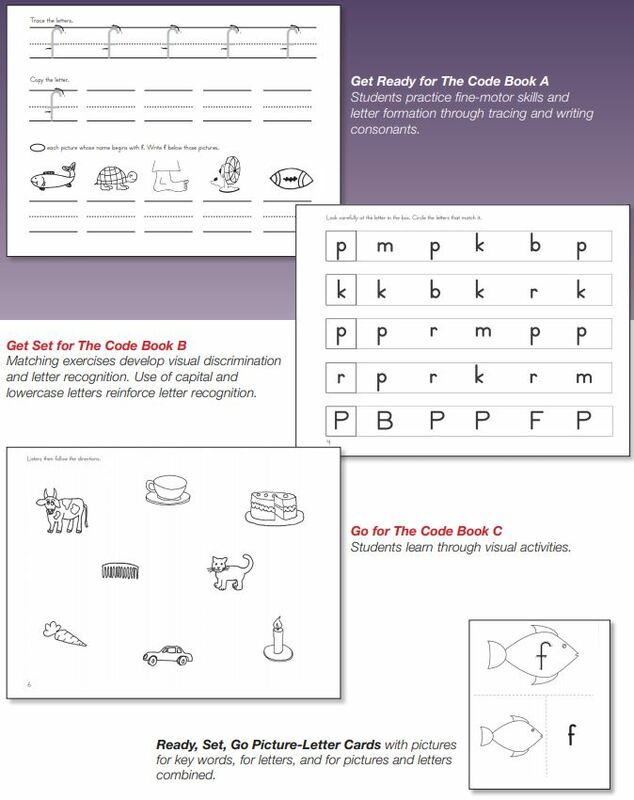 Covering early literacy skills and letter formation, students will learn through visual, auditory, and kinesthetic activities that include tracing, matching, tracking, copying, and following directions. 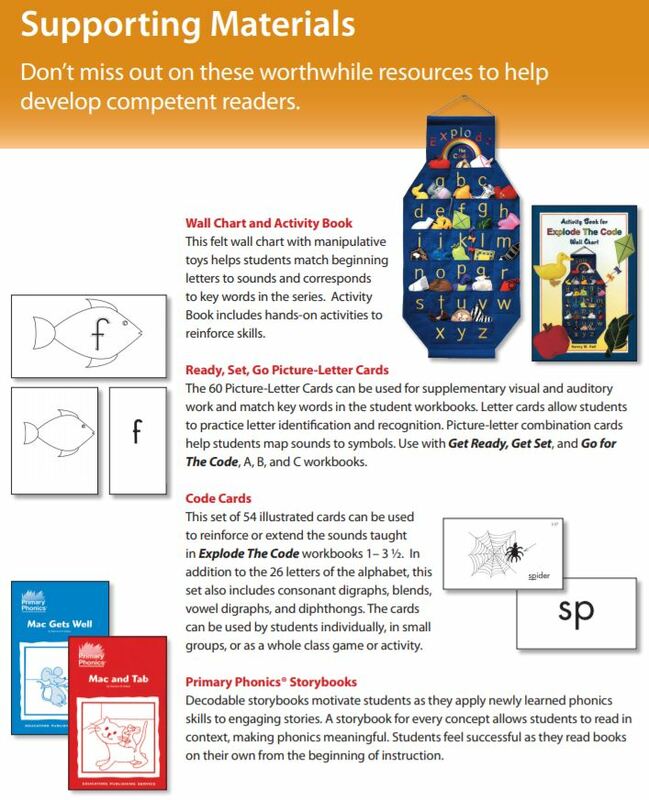 Book A teaches students consonants b, f, k, m, r, and t with an emphasis on phonemic awareness, letter formation, and fine-motor skills. Grades Pre K-1. 78 non-reproducible pages, consumable softcover workbook.